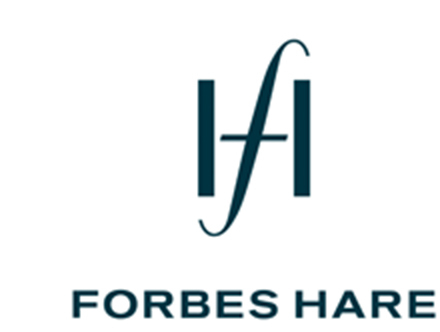 Forbes Hare opened for business in the British Virgin Islands in 2005, and has grown into one of the largest firms and best-known law firms in the jurisdiction. The firm acts for the liquidators of one of the largest Madoff feeder funds, Fairfield Sentry, and has been involved in numerous other distressed fund situations advising large BVI-based investment funds. The firm’s BVI office has grown ten-fold since it was established in 2005, and now provides clients with a full range of BVI legal advice on corporate, litigation, finance, insolvency, investment fund and trust matters. The firm is widely recognised as one of the leading offshore law firms in the Caribbean and was recently ranked in The Lawyer’s Offshore Top 30 report. The firm also has offices in the Cayman Islands, London and Singapore. The firm’s London and Singapore teams also include experienced BVI lawyers practicing in litigation, insolvency, investment funds, corporate and finance. The London and Singapore teams work closely with their colleagues in the British Virgin Islands to provide a round-the-clock service to clients. The full range of corporate services are also offered from our BVI office.